Please join us for an afternoon of art and discussion! 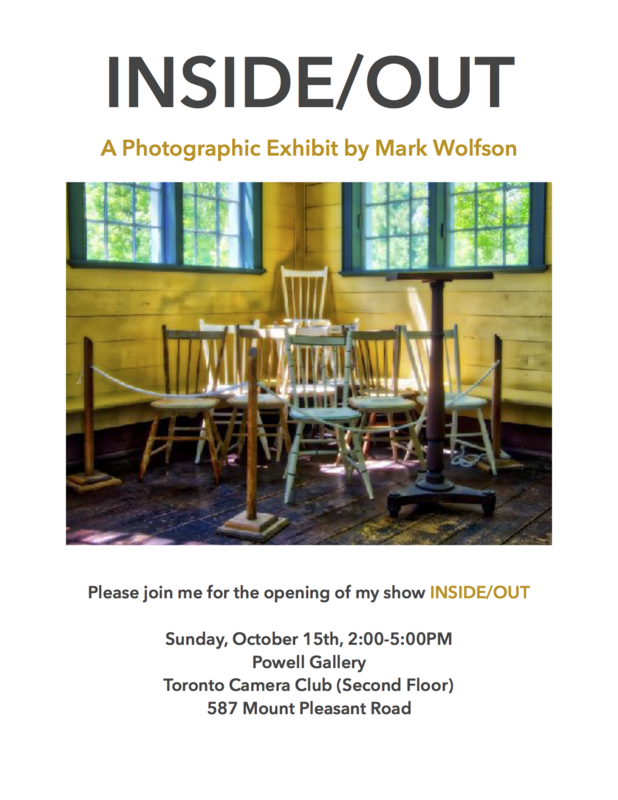 Photographer Mark Wolfson is holding a Photography Exhibit on October 15th at the Powell Gallery in Toronto. All proceeds from the event will be donated to Eli’s Place. Visit the event page on Facebook for updates. A look “inside-out and outside-in” at some of the images that frame Mark Wolfson’s world. Doors and Windows have always caught his eye and have held a fascination of what may be seen beyond. Mark’s photographs explore the beauty of the objects themselves (windows and doors) and the secret stories they may reveal. Mark Wolfson, retired Vice President of Henry’s Canada, the largest independent camera retailer, is a graduate of Ryerson University Photographic Arts. In his near half century in the photographic business Mark has witnessed extraordinary changes to the equipment, materials and processes that once defined photography. Mark is a passionate photographer who has travelled extensively through many parts of North America, Europe, Asia and North Africa. His photographs hang in homes and businesses across Canada and the USA. Mark has lectured at York University’s Glendon College, Ryerson University, George Brown College, Photographic Clubs and Organizations across Canada. Join the Event Page for updates about the Mark Wolfson’s exhibit for Eli’s Place on October 15! Help us Build the Future of Mental Health Care in Canada!